For this month’s Use Your Stash Blog Hop, you will see lots of coloring using a variety of mediums from watercolors and colored pencils to markers and more. This hop is a circle; if you have just started simply continue until you make your way back here; if you have already started, you should be coming from Nicole Schuette. 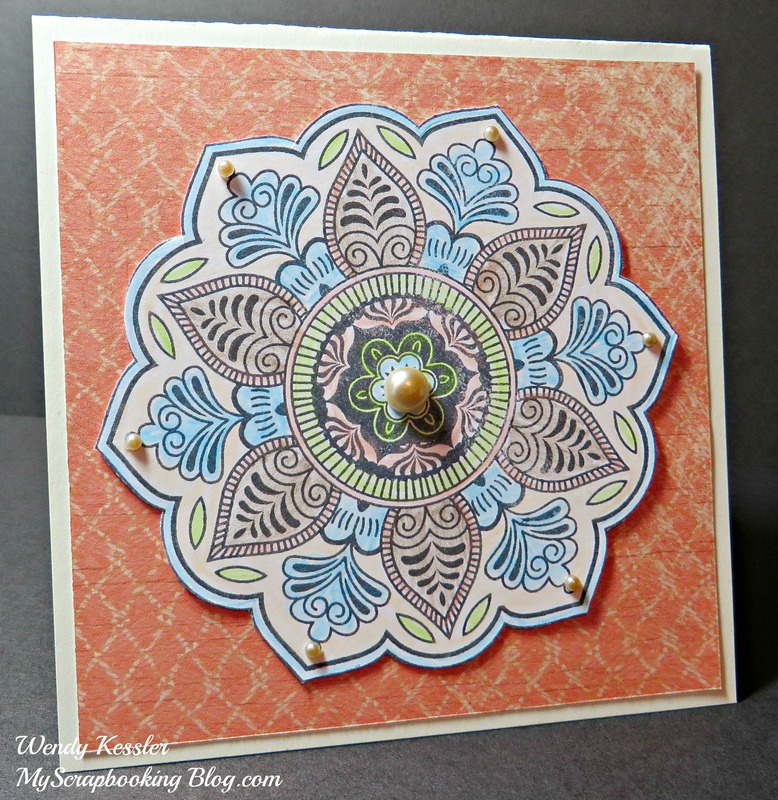 Supplies used are all Close to My Heart unless otherwise noted: Exotic Flower Stamp Set (Hostess set), Opaque Pearls (retired), colored pencils (retired but the Watercolor Pencils would be a good substitute), Shinhan Markers, and Momento Ink. This is one of my favorite new stamp sets so I’m probably not using up my stash much but it has been a very long time since I’ve gotten out my colored pencils. I like the muted colors of the colored pencils just as much as the vibrant look that I get when using markers. There are lots of options with this stamp set. 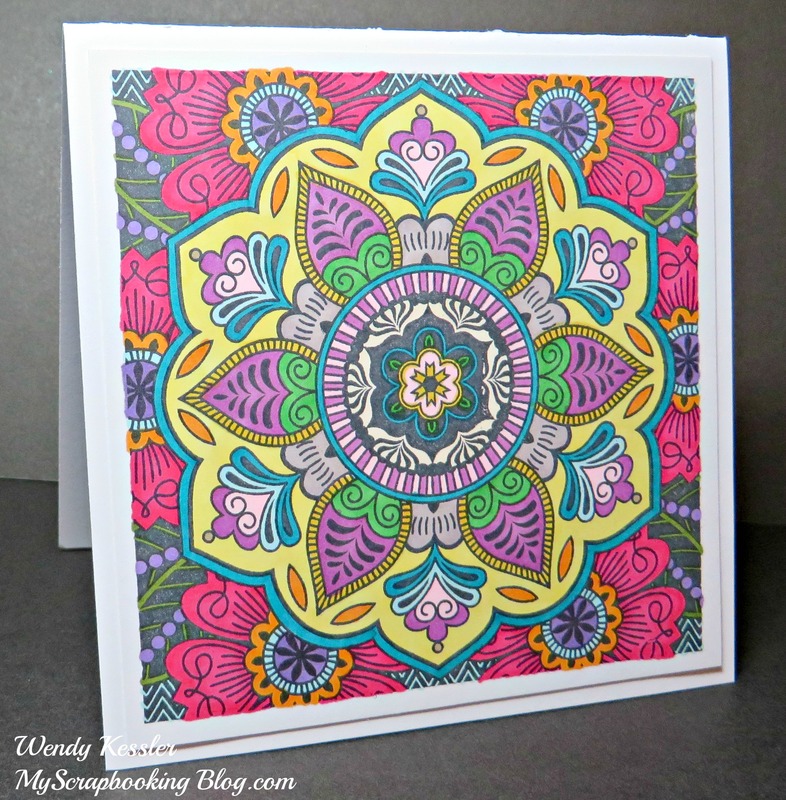 You can color it with different mediums and a variety of colors that will always turn out differently. You can also use the whole stamp set or cut out the the middle flower and just use that. You can embellish it with pearls, sparkles, glitter glue, etc or leave it plain and flat and it’s still beautiful! Now hop on over to Priscilla Gotham! If you get lost along the way, go to Paige Dolecki’s blog for a list of participants. Lovely and elegant – such a beautiful job! I love how different each one turned out. « Roadside find turned Dress-up Station!